Guadalcanal is the principal island in Guadalcanal Province of the nation of Solomon Islands, located in the south-western Pacific, northeast of Australia. The island is mainly covered in dense tropical rainforest and has a mountainous interior. The Attack on Pearl Harbor was a surprise military strike by the Imperial Japanese Navy Air Service against the United States naval base at Pearl Harbor, Hawaii Territory, on Sunday morning, December 7, 1941. The attack, also known as the Battle of Pearl Harbor, led to the United States' formal entry into World War II. The Japanese military leadership referred to the attack as the Hawaii Operation and Operation AI, and as Operation Z during its planning. Operation Mo or the Port Moresby Operation was a Japanese plan to take control of the Australian Territory of New Guinea during World War II as well as other locations in the South Pacific with the goal of isolating Australia and New Zealand from their ally the United States. The plan was developed by the Imperial Japanese Navy and supported by Admiral Isoroku Yamamoto, the commander-in-chief of the Combined Fleet. The operation was ultimately abandoned. Tulagi, less commonly known as Tulaghi, is a small island in Solomon Islands, just off the south coast of Ngella Sule. The town of the same name on the island was the capital of the British Solomon Islands Protectorate from 1896 to 1942 and is today the capital of the Central Province. 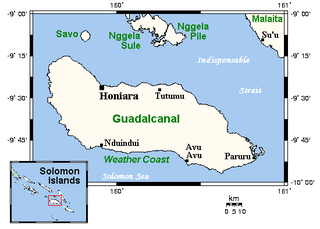 The capital of what is now the state of Solomon Islands moved to Honiara, Guadalcanal, after World War II. The Allies countered the threats to Australia by a build-up of troops and aircraft,  with the aim of implementing plans to approach and reconquer the Philippines. 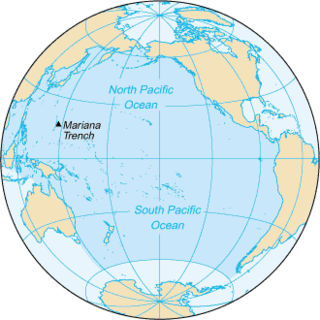 In March 1942 Admiral Ernest King, then Commander-in Chief of the U. S. Fleet, had advocated an offense from New Hebrides through the Solomon Islands to the Bismarck Archipelago. Following the victory at Midway, General Douglas MacArthur, who had taken command of the South West Pacific Area, proposed a lightning offense to retake Rabaul, which the Japanese were fortifying and using as a base of operations. The United States Navy advocated a more gradual approach from New Guinea and up the Solomon Island chain. These competing proposals were resolved by Admiral King and U.S. Army Chief of Staff General George C. Marshall, who adopted a three-task plan. Task One was the capture of the island of Tulagi in the Solomons. Task Two was an advance along the New Guinea coast. Task Three was the capture of Rabaul. Task One, implemented by a directive of the Joint Chiefs of Staff on 2 July 1942 and named the initial attacks Operation Watchtower,  became the Solomon Islands campaign. 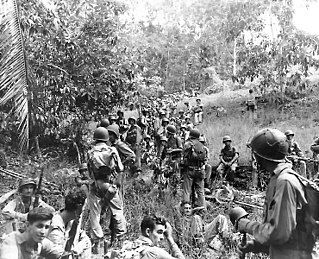 On 7 August 1942 US Marines landed on Guadalcanal, beginning the Guadalcanal Campaign. The Allies created a combined air formation, the Cactus Air Force, [lower-alpha 4] establishing air superiority during daylight hours. 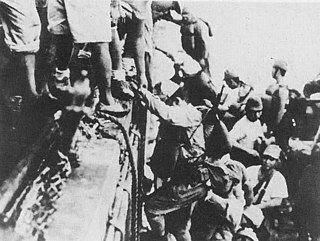 The Japanese then resorted to nightly resupply missions which they called "Rat Transportation" (and the Allies called "the Tokyo Express") through New Georgia Sound (a.k.a. "The Slot"). 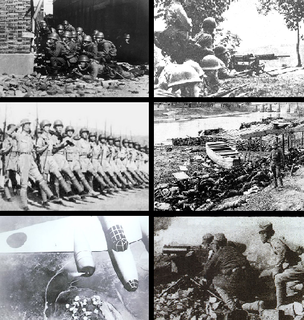 Many pitched battles were fought trying to stop Japanese supplies from getting through. So many ships were lost by both sides during the Guadalcanal campaign that the southern end of New Georgia Sound, the area north of Guadalcanal previously called Savo Sound, became known as "Ironbottom Sound". Wikimedia Commons has media related to Solomon Islands campaign . The Tokyo Express was the name given by Allied forces to the use of Imperial Japanese Navy ships at night to deliver personnel, supplies, and equipment to Japanese forces operating in and around New Guinea and the Solomon Islands during the Pacific campaign of World War II. The operation involved loading personnel or supplies aboard fast warships, later submarines, and using the warships' speed to deliver the personnel or supplies to the desired location and return to the originating base all within one night so Allied aircraft could not intercept them by day. 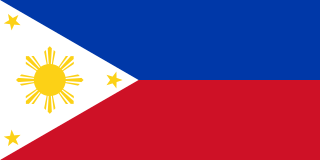 Operation Cartwheel (1943–1944) was a major military operation for the Allies in the Pacific theatre of World War II. Cartwheel was an operation aimed at neutralising the major Japanese base at Rabaul. The operation was directed by the Supreme Allied Commander in the South West Pacific Area (SWPA), General Douglas MacArthur, whose forces had advanced along the northeast coast of New Guinea and occupied nearby islands. Allied forces from the Pacific Ocean Areas command, under Admiral Chester W. Nimitz, advanced through the Solomon Islands toward Bougainville. The Allied forces involved were from Australia, the Netherlands, New Zealand, the US and various Pacific Islands. The Allies of World War II conducted an air attack upon a cruiser force at the major Japanese base of Rabaul in November 1943. In response to the Allied invasion of Bougainville, the Japanese had brought a strong cruiser force down from Truk, their major naval base in the Caroline Islands about 800 miles north of Rabaul, to Rabaul in preparation for a night engagement against the Allied supply and support shipping. Allied carrier- and land-based planes attacked the Japanese ships, airfields, and port facilities on the island of New Britain to protect the Allied amphibious invasion of Bougainville. As a result of the Rabaul raids, the Japanese naval forces could no longer threaten the landings. The success of the raid began to change the strongly held belief that carrier-based air forces could not challenge land-based air forces. Cactus Air Force refers to the ensemble of Allied air power assigned to the island of Guadalcanal from August 1942 until December 1942 during the early stages of the Guadalcanal Campaign, particularly those operating from Henderson Field. The term "Cactus" comes from the Allied code name for the island. In 1943 the Cactus Air Force was subsumed into (AirSols), a joint command of Allied air units in the Solomon Islands. The invasion of Tulagi, on 3–4 May 1942, was part of Operation Mo, the Empire of Japan's strategy in the South Pacific and South West Pacific Area in 1942. The plan called for Imperial Japanese Navy troops to capture Tulagi and nearby islands in the British Solomon Islands Protectorate. The occupation of Tulagi by the Japanese was intended to cover the flank of and provide reconnaissance support for Japanese forces that were advancing on Port Moresby in New Guinea, provide greater defensive depth for the major Japanese base at Rabaul, and serve as a base for Japanese forces to threaten and interdict the supply and communication routes between the United States and Australia and New Zealand. Jinichi Kusaka, was an admiral in the Imperial Japanese Navy during World War II. Fellow Admiral Ryūnosuke Kusaka was his cousin. Minoru Sasaki sometimes referred to as Noburo Sasaki, was a commander in the Imperial Japanese Army during World War II. 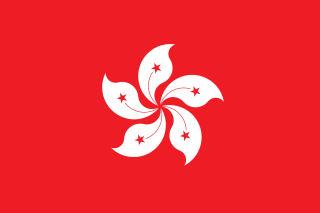 The Battle of Viru Harbor was a battle of the Pacific campaign of World War II that took place on New Georgia island during the New Georgia Campaign from 28 June – 1 July 1943. The Landings on Rendova was a military amphibious assault on Rendova Island in the Solomon Islands on 30 June 1943 by United States Army and Navy forces during the New Georgia Campaign of the Pacific War. In the assault, U.S. forces overwhelmed a small Japanese military garrison and secured the island. 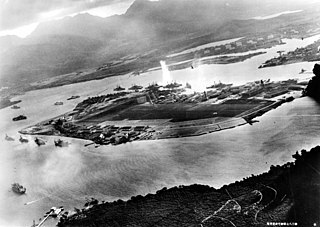 The U.S. occupied the island to use it as a staging and artillery base to support an offensive against Japanese forces guarding an airfield at Munda Point on nearby New Georgia. The Battle of Wickham Anchorage took place during the New Georgia Campaign in the Solomon Islands during the Pacific War from 30 June -3 July 1943. In the battle, a force of United States Marine Corps Raiders and United States Army soldiers landed by ship in Wickham Anchorage on Vangunu Island and attacked a garrison of Imperial Japanese Navy and Army troops. The purpose of the attack by the U.S. was to secure the lines of communication and supply between Allied forces involved in the New Georgia Campaign and Allied bases in the southern Solomons. The U.S. forces were successful in driving the Japanese garrison from the area and securing the anchorage. The Drive on Munda Point was an offensive by mainly United States Army forces against Imperial Japanese forces on New Georgia in the Solomon Islands from 2–17 July 1943. The Japanese forces, mainly from the Imperial Japanese Army, were guarding an airfield at Munda Point on New Georgia that the U.S. wished to capture. The New Georgia counterattack was a counterattack on 17–18 July 1943 by mainly Imperial Japanese Army troops against United States Army forces during the New Georgia Campaign in the Solomon Islands. The U.S. and its allies were attempting to capture an airfield constructed by the Japanese at Munda Point on New Georgia. 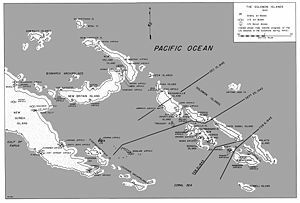 The Battle of Munda Point was a battle, from 22 July-4 August 1943, between primarily United States Army and Imperial Japanese Army forces during the New Georgia Campaign in the Solomon Islands in the Pacific War. In the battle, U.S. forces captured a Japanese airfield constructed at Munda Point on New Georgia. The Battle of Enogai was a battle between United States and Imperial Japanese Army and Navy forces on 10–11 July 1943 during the New Georgia Campaign in the Solomon Islands during the Pacific War. In the battle, U.S. Marine Raiders, supported by two United States Army infantry battalions, attacked and destroyed a Japanese garrison guarding the small port of Enogai on the Dragons Peninsula on New Georgia. After conducting an unsuccessful follow-up attack on nearby Bairoko, the American forces remained in the Enogai area until the end of the New Georgia Campaign. 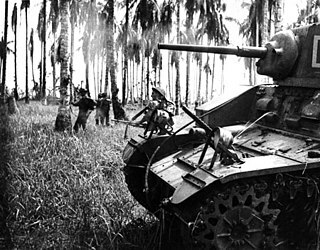 The Battle of Bairoko was a battle between American and Imperial Japanese Army and Navy forces on 20 July 1943 during the New Georgia Campaign in the Solomon Islands during the Pacific War. In the battle, U.S. Marine Raiders—supported by two U.S. Army infantry battalions—attacked a Japanese garrison guarding the port of Bairoko on the Dragons Peninsula on New Georgia. The day-long assault on well-prepared Japanese defensive positions by the Americans was unsuccessful. The 4th Air Group was a land-based bomber aircraft unit of the Imperial Japanese Navy Air Service (IJNAS) during the Pacific campaign of World War II. The unit was formed on 10 February 1942 and flew the Mitsubishi G4M Rikko Navy Type 1 Attack Bomber aircraft. That same month, the 4th Naval Air Group (NAG) deployed to Rabaul, New Britain and supported Japanese operations during the early stages of the New Guinea Campaign, first as part of the 24th Air Flotilla and from April as part of the 25th Air Flotilla. The newly arrived unit took heavy losses on 20 February during an action off Bougainville, losing 15 of 17 bombers sent to attack a United States Navy aircraft carrier task force. Between 9 March and 5 April 1942 during World War II, forces of the Empire of Japan occupied the islands of Buka and Bougainville in the South Pacific. At that time these islands were part of the Australian-administered Territory of New Guinea. A platoon of Australian commandos from the 1st Independent Company was located at Buka Airfield when the Japanese landed but did not contest the invasion. Operation I-Go was an aerial counter-offensive launched by Imperial Japanese forces against Allied forces during the Solomon Islands and New Guinea Campaigns in the Pacific Theater of World War II from 1–16 April 1943. In the operation, Japanese aircraft—primarily from Imperial Japanese Navy units under the command of Admirals Isoroku Yamamoto and Jinichi Kusaka—attacked Allied ships, aircraft, and land installations in the southeast Solomon Islands and New Guinea. The goal of the operation was to halt the Allied offensives in New Guinea and the Solomons and to give Japan time to prepare a new set of defenses in response to recent defeats to the Allies in the Battle of Guadalcanal and in New Guinea at Buna–Gona, Wau, and the Bismarck Sea. Rabaul is a town in Eastern New Britain, Papua New Guinea. Japanese forces landed on Rabaul on 23 February 1942, capturing it in February of that year. The former Australian territory was transformed into a major Japanese naval and air installation. It was heavily relied on by the Japanese, and was used as a launching point for Japanese reinforcements to New Guinea and Guadalcanal. Throughout the Solomons Campaign, neutralizing Rabaul became the primary objective of the Allied effort in the Solomons. Long, Gavin (1963). Volume VII – The Final Campaigns. Australia in the War of 1939–1945. Canberra: Australian War Memorial . Retrieved 2006-11-02. McCarthy, Dudley (1959). Volume V – South–West Pacific Area – First Year: Kokoda to Wau. Australia in the War of 1939–1945. Canberra: Australian War Memorial . Retrieved 2006-11-02. Morison, Samuel Eliot (1958). The Struggle for Guadalcanal, August 1942 – February 1943, vol. 5 of History of United States Naval Operations in World War II . Boston: Little, Brown and Company. ISBN 0-316-58305-7. Morison, Samuel Eliot (1958). Breaking the Bismarcks Barrier, vol. 6 of History of United States Naval Operations in World War II . Castle Books. ISBN 0-7858-1307-1. Odgers, George (1968). Volume II – Air War Against Japan, 1943–1945. Australia in the War of 1939–1945. Canberra: Australian War Memorial . Retrieved 2006-11-02.